Integrated Diabetes Services features a multi-disciplinary team of Certified Diabetes Educators (CDEs) with a true passion and talent for diabetes care and diabetes education. All of our diabetes clinicians live with diabetes personally. Our office staff is dedicated to serving our patients with sensitivity to their needs and concern for their satisfaction. 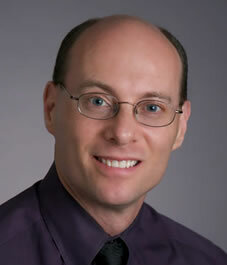 A devoted husband and father of four, Gary enjoys exercising (especially basketball, bicycling, running and weight lifting) and cheering on his local Philadelphia sports teams. Jennifer has also lived with type 1 diabetes since she was a child, so she has first-hand knowledge of the day-to-day events that affect diabetes management. She attended a diabetes-specific sports training camp in 2008 where she discovered her passion for achieving fitness goals while living healthfully with diabetes. In 2009 she successfully completed her first triathlon. This brought a deeper understanding of athletic training requirements and the importance of nutrition to realize athletic goals. 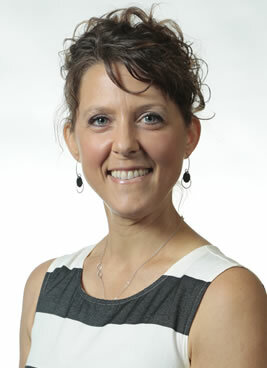 Jennifer holds a Bachelor’s Degree in Human Nutrition and Biology from the University of Wisconsin. She is a Registered (and Licensed) Dietitian, Certified Diabetes Educator, and Certified Trainer on most makes/models of insulin pumps and continuous glucose monitoring systems. She is an active member of the American Diabetes Association, American Association of Diabetes Educators and Team WILD (We Inspire Life with Diabetes). She is also a contributing author for the Diabetes Sisters website. 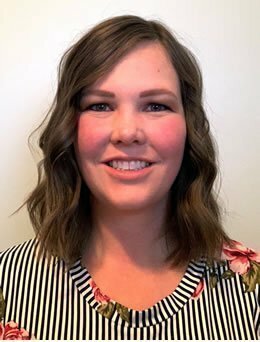 As a talented dietitian, diabetes educator, athlete and person with diabetes, Jennifer is in a unique position to assist Integrated Diabetes Services’ intensively managed clients. Jennifer and her husband Nathan, an Ironman athlete in his own right, share their home with their sons Oskar and Conan, their dog Fillmore and cat Cornelius. In her free time, Jennifer enjoys running, cycling, swimming, yoga, and kayaking. She also loves hiking with Nathan, Oskar and Fillmore. A culinary “experimenter”, she is fond of cooking and baking, with an eye on vegetarian options. Tops on her annual “to-do” list is to travel to strange and exotic places outside the US. Alicia’s diverse nursing career has given her experience with a broad range of clients and a variety of health conditions in addition to diabetes. 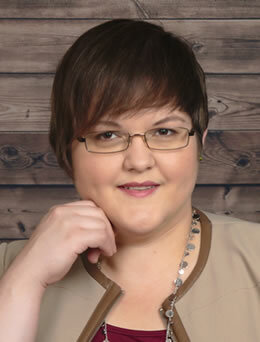 One of her passions is advocating for the needs of her patients, whether it be in overcoming insurance restrictions, obtaining community resources, or coordinating with school systems and medical providers. Alicia is a proud graduate of the Cecil College School of Nursing and received her Bachelor’s and Master’s of Science in Nursing from Western Governors University. She is an active member of the American Association of Diabetes Educators and Maryland Nurses Association. Alicia manages her diabetes with an insulin pump and continuous glucose monitor. Her rocky road included years of mis-diagnoses and ineffective treatments during her college years. That experience gave Alicia the incentive to take the lead in her own health care and educate those around her. After years as a director of a childcare center, Alicia made the career leap into nursing with the goal of becoming a diabetes educator. Her life has included many unique medical challenges including multiple auto-immune diagnoses and orthopedic conditions. However, Alicia chooses to view these as opportunities to grow stronger rather than as barriers, and applies this approach to her clinical practice. Alicia’s talents and passions are not restricted to diabetes education. She can be found as a regular performer on stage/film projects and with local bands. As an award winning steampunk and cos-play designer, she enjoys building costumes and fashion pieces for her husband Tim and son Asher. Alicia and Tim also share black belt martial arts training (Alicia holds a first-, and Tim a third-degree black belt in Tang Soo Do). In more sedate moments, Alicia can be found curled up with a cup of tea, good book and her dogs Billie and Wicket. Lifelong Ambition: To someday be well-rested and bored. Unlikely as the mom of a toddler. Dislikes: People who wait to the very end of the lane to merge!!! People who do the bare minimum. A Fun Fact: Lived in the UK for a year studying Shakespeare and stage combat. Annette Valle provides a full range of basic and advanced diabetes self-management education and glucose regulation services for Spanish and English-speaking patients. Her passion for helping others began soon after she was diagnosed with Type-1 diabetes at age 13, 12 years after her father was diagnosed. Blood sugar competitions and sharing the challenges of living day-to-day with diabetes brought her very close to her dad and helped her see the bright side of an otherwise gloomy condition. Annette earned a Bachelor of Science degree in Nursing from Southern Utah University. She is a Certified Diabetes Educator and Certified Medical Interpreter in the Spanish language. She is also a Certified Insulin Pump trainer and has expertise with all models of continuous glucose monitors and hybrid closed loop systems. Annette developed her Spanish language skills while serving on a mission for her church. She met her husband, Angel, while traveling abroad in El Salvador. Rumor has it that he was captivated by both her beauty and the cookies she carried for treating her low blood sugars. She lives near Salt Lake City, Utah with her husband and two boys, Ruben and Olie, with a little girl expected in the spring of 2019. In her spare time she enjoys training for distance open-water swim races, triathlons, spending time in the Utah mountains, sewing, and home improvement projects. 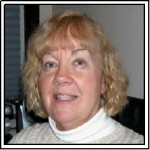 Diane is a licensed medical social worker and certified diabetes educator. She has held executive positions in business development, strategy, and program management, most recently as Vice President, Clinical Services for Livongo. 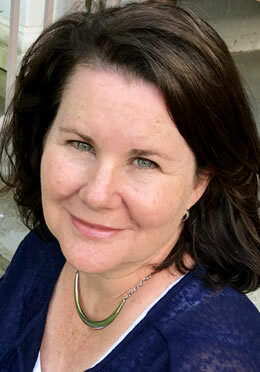 Additionally, Diane maintains a private practice working with adolescents and families living with Type 1 Diabetes. Diane is an advocate for people with diabetes and frequently speaks and writes on topics related to diabetes and child development, transition of care and the intersection of emotional and physical health (E1cÆ/A1c). Diane co-authored with Gary Scheiner a new book published by the ADA which which is a go to, full reference and support guide for people with loved ones with diabetes. 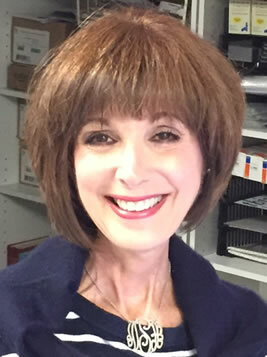 Diane received her Masters in Social Science from Bryn Mawr College and her Bachelor degrees in Public Relations & Political Science from Virginia Polytechnic Institute & State University with Internships at Integrated Diabetes Services, The Children’s Hospital of Philadelphia and Bryn Mawr Hospital and she serves on the Board of Penn Diabetes: University of Pennsylvania Health System. On a personal note, Diane lives in Devon, PA with her husband Bob, their kids Lauren and Jackson (Type 1) and their dogs – Pippa and Zeke. 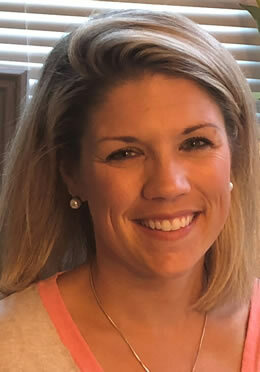 Kristen joined IDS in 2018 after working for seven years as a clinical dietitian in a community hospital and eight years as lead instructor for a diabetes self-management education company. With a knack for making complex issues seem simple and relating to people with a strong sense of empathy, group diabetes education has become her specialty and her passion. Kristen lives in West Chester, PA with her husband Tim, daughters Grace & Sadie, and dog Kirby. She enjoys traveling (visited 30 of 50 states and more than a dozen foreign countries so far), scrapbooking, and being outside with the kids and Kirby. A Fun Fact:I have scuba dived in the Great Barrier Reef in Australia, visited 12 countries in Europe, and completed my first and only marathon! Nancy comes to IDS with a background in education from Temple University. She has worked in the fitness industry with her son and helped manage his fitness center. Her interest in nutrition and exercise continues to play a major part of her lifestyle. She has worked in the high end fashion market for many years. These careers have given Nancy tremendous passion for helping others — something that fits in perfectly at Integrated Diabetes Services! Her boundless energy and enthusiasm aren’t just an asset; they are also contagious. In her role as Office Administrator, Nancy oversees the front desk operations of the practice, including client service/support, special events, website maintenance, medical correspondence and e-mail communications. Nancy enjoys cooking and entertaining friends and family. Nancy has two children, Scott and Blair and two precious grandchildren, Taylor and Sia. Both of Nancy’s sisters have diabetes, so she is an official “Type-3”. A Fun Fact: I appeared on a TV show (Say Yes to the Dress) with my daughter and 91 yr old Mom. When the first of her two children were born, she “retired” from the working world to be a full time mom – albeit with lots of volunteer work at her children’s school. As her kids got older, she volunteered at Senior Safety Project in Media, an organization that assists senior citizens who are victims of crime. She then spent 21 years at Backe Communications as administrative assistant to the president of the company. Karen has been with Integrated Diabetes Services since March of 2008. She is an easygoing person and likes the fun, relaxed environment at IDS. Karen has a passion for helping others and feels that working at IDS fills that personal need. Karen enjoys the social aspects of her work and likes getting to know everyone who walks in the door. Karen’s personal interests include reading, cross-stitching, crocheting and listening to jazz. She loves to play with her four grandchildren, and enjoys going to the Jersey shore (near Avalon) for weekends during the summer. Karen is also a traveler; she has been to Hawaii, Aruba, and Alaska. She would love to go back to Hawaii (and live there if she could). Her future plans include trips to Ireland and Italy.